As fall’s chill creeps into our bones, who can blame us for dreaming of a pampering getaway to someplace warm, rejuvenating, and serene? 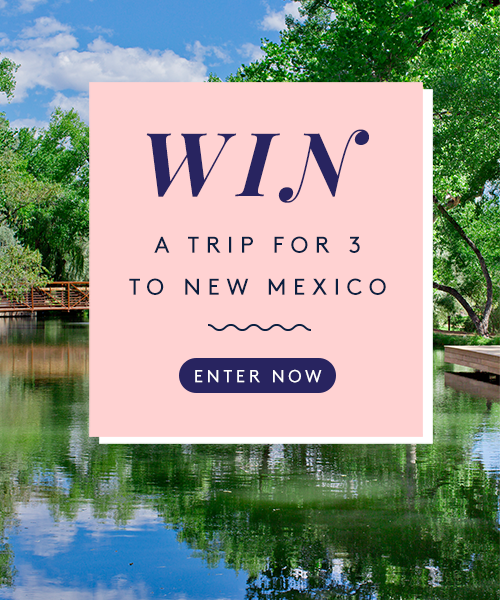 Enter our sweepstakes with Refinery29 and BabyList for a chance to win a luxurious 3-night wellness retreat for 3—you and your besties, of course—at the award-winning Sunrise Springs Resort in Santa Fe, N.M., plus $1,200 toward your flights and 15 great Simon & Schuster reads for your downtime. The lucky winner and two guests will receive daily, farm-fresh gourmet meals, massages, daily yoga and other wellness activities, plus access to the pool, art and culinary classes, a meditative garden, puppy room, and other zen musts on-site. Hurry, the sweeps ends Oct. 16, 2016! See official rules for details.